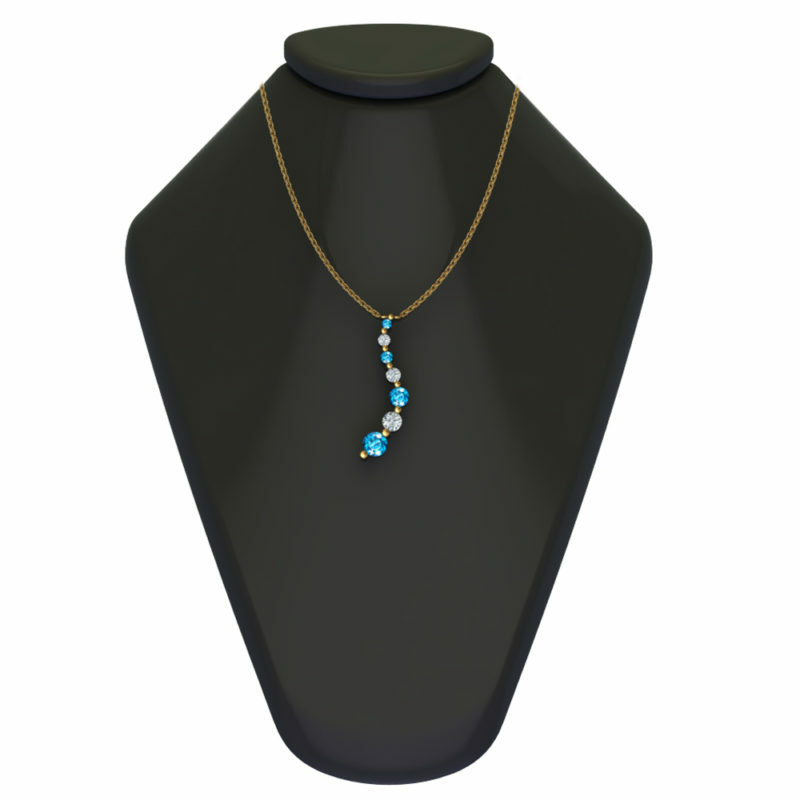 This gorgeous journey pendant necklace has been fashioned out of .925 sterling silver and features 7 gemstones of various sizes. 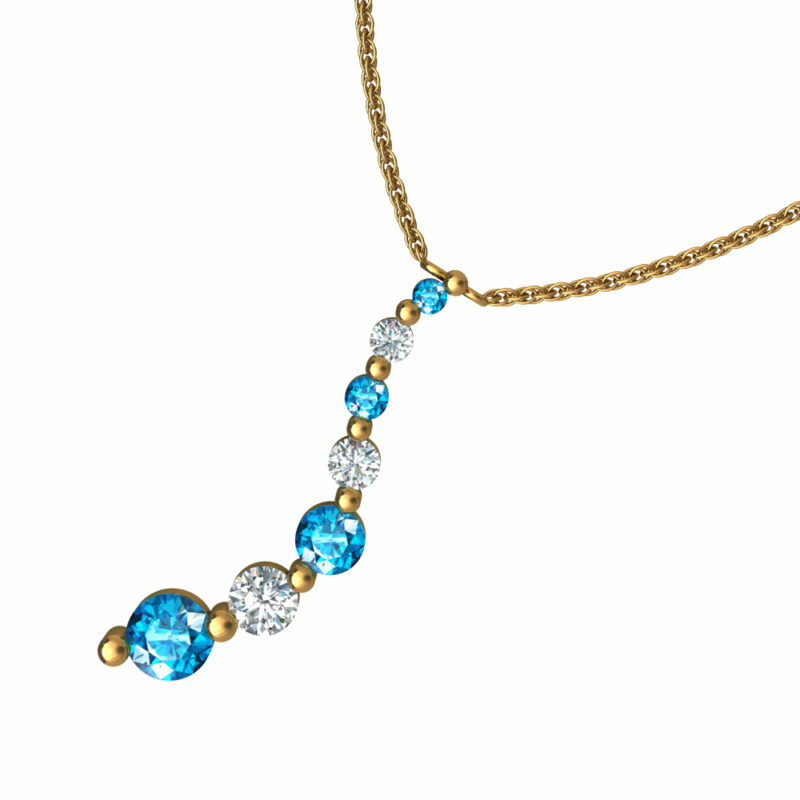 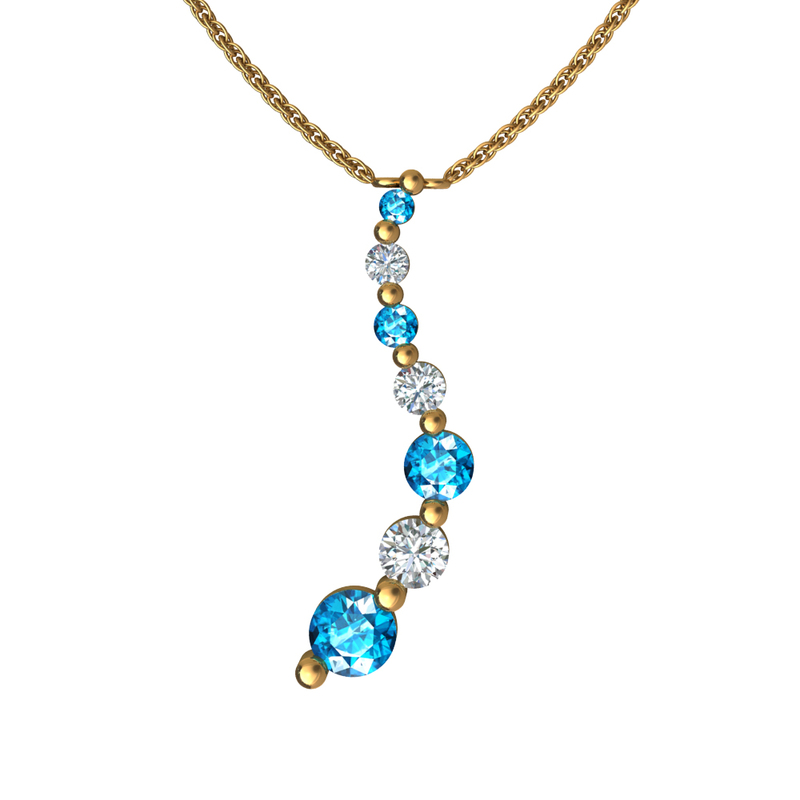 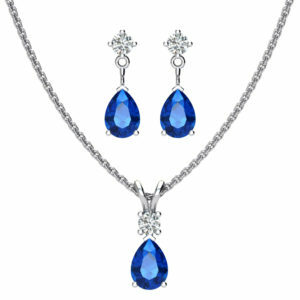 The journey pendant includes 4 natural Swiss Blue Topaz stones and 3 natural White Topaz stones. 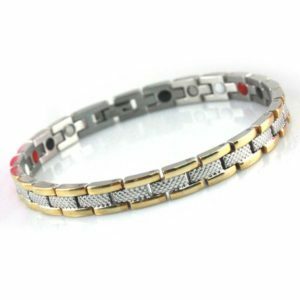 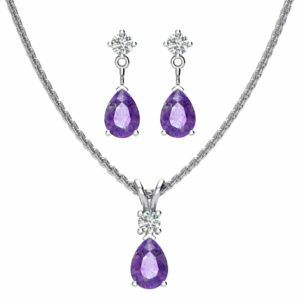 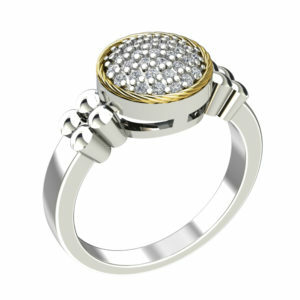 All these gemstones are round cut and vary from 2mm to 5mm. 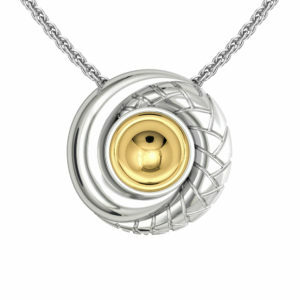 The pendant has a .8 MU Gold plating. 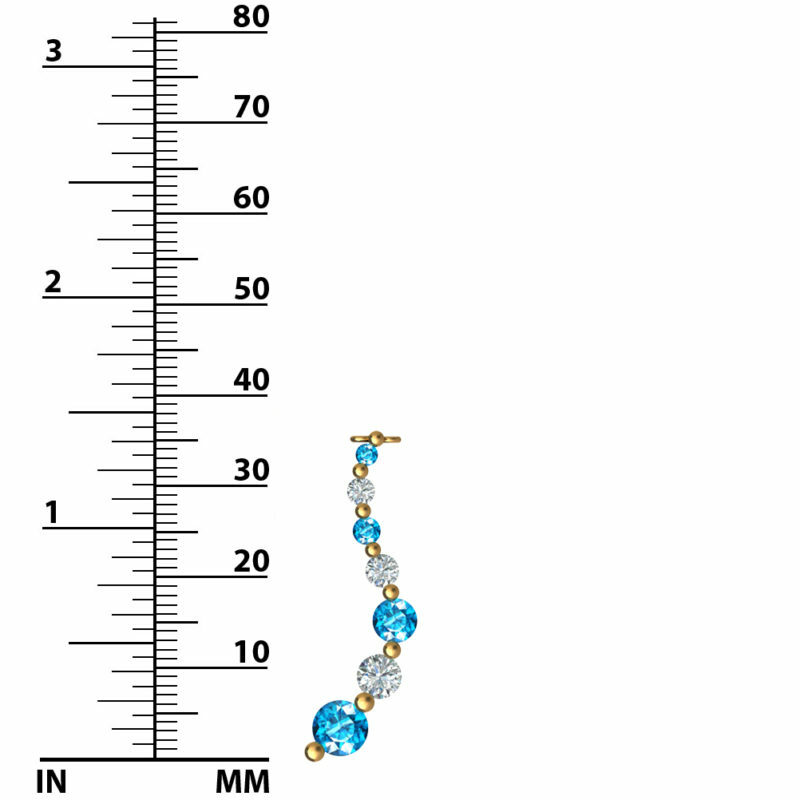 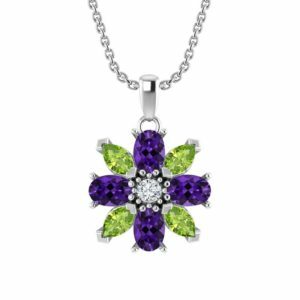 The total CT weight of the pendant is 1.35 CT. It’s an amazing present for mother’s day, birthday, prom, anniversary, baby showers, bridal showers, spring birthdays, valentine’s day and Christmas.